Australia signed the 1951 Convention on the Status of Refugees, and is therefore obligated to hear claims from asylum seekers, even if they departed foreign shores illegally and arrived in Australia illegally. In a statement released by Indonesia’s foreign ministry on 26 September, Major Andy Apriyanto, a senior officer with the Maritime Security Coordinating Board, sounded a warning about the turn-back proposal, one of several to anger Jakarta. “Casualties may happen with this, and if they are in open sea … it’s too risky with boats commonly in poor condition and over capacity. Survivors from a boat that sank off the south of Java said they had raised the alarm with Australian authorities, passing on their exact location at least 24 hours before their boat sank with the loss of an estimated 59 lives. Indonesian police said on th 27th that locals in west Java “found 20 dead bodies floating in the water, most of them are children”, while 25 adults were rescued. The boat was believed to have been carrying 120 people, originally from Jordan, Lebanon and Yemen. Abbot has campaigned to “stop the boats” and has begun plans to expand detention centres for asylum seekers on remote Pacific islands, conditions at which have led them to be labelled “gulags” by critics. He has imposed a media blackout on reports of boat arrivals, stopping providing regular information on asylum boats turned away and emergencies at sea. Australia’s Prime Minister, Tony Abbott, is an immigrant having arrived in Australia on the 10 pound subsidised boat - a case of take away the ladder, i’m alright. The White Australia policy, enacted in its first form in 1901 to discourage non-Europeans from migrating to Australia, is held up as an example of the country’s backward past. The current policy can only be described as the past come back to haunt Australia. In the above video clip, the supposed scientist failed to comprehend that for a theory to be valid it should accord well with the facts, and offer one a way to disprove it. Thus religion and creationism are not valid scientific theories, whereas evolution and gravity are. Holding up a bible and declaring that it holds the truth does not represent a serious rebuttal. He takes advantage of the understandable gaps in knowledge to argue that the bible is correct. In science (as in socialist theory) there is rarely if ever 100% proof, only a weight of evidence. Pseudo-scientists exploit this lack of certainty to insinuate their own bogus ideas on to the gullible. “You set up an artificial chromosome with each digital 'gene' determining a parameter for some widget you want to design. Then you created a population of individual widgets by running simulations with different sets of randomly chosen parameters, and had the widgets 'mate' with each other. You repeated this process over many successive generations, throwing in some mutations along the way. Those widgets that worked best in your simulation had the best shot at having 'children' in the next generation.” It was the beginning of the end. After discovering the practical value of evolutionary computation, Suominen began reading about evolutionary biology. The Genesis story fell apart. In June 2012 forty-six per cent of adults in America said they believed that ‘God created humans in their present form within the last 10,000 years.’ Only fifteen per cent agreed with the statement that humans had evolved without the guidance of a divine power. .... Such poll data raises questions: Why are some scientific ideas hard to believe in? What makes the human mind so resistant to certain kinds of facts, even when these facts are buttressed by vast amounts of evidence? Why is creationism still rearing its head, after religion had been marginalised and church attendance have fallen? How is it, 150 years after Darwin, creationists still believe that Adam and Eve actually existed 6,000 years ago in the Garden of Eden.? We get used to hearing stories about creationism, and the attack on science. The revival of religious fundamentalism, creationism and the spread of mystical sects is based on a loss of confidence in science and human progress together with a general rejection of rational thought and problem solving. Creationists retain their belief system by refusing to accept the evidence. They are afraid that without God there really is no relevance to life. They fear that science is taking the heart out of the human experience and replacing it with facts. They fear that a world with no meaning is a world with no mercy. We can express some compassion for the fear and the desperation these people have, confronted with a world they don’t understand and in which they feel utterly helpless. People fear what they don’t understand. This is about people who need to have a reason to go on living, which capitalism isn’t giving them. It’s about people’s need to believe in something, which capitalism doesn’t supply or has taken away. The battle of ideas is not just a battle of the mind, it’s a battle for the heart. We can no more win hearts with economic methodology than scientists can with peer-reviewed research. We live in a world which cares only about money and believes in nothing at all. This is what Moslems and Christians despair about, and this is something with which we can surely empathise. As Suominen puts it, “You don’t have original sin without an original sinner. And without original sin...you don’t need a redeemer.” In other words, the central story of Christianity, the story of a perfect Jesus who becomes a perfect human sacrifice and saves us all relies on the earlier creation story. This is the sigh of the oppressed in the heartless world, as Marx famously expressed it. • the ongoing break-up of community relationships and the atomisation of the individual, characterised by the development of a competitive "every man for himself" type culture as the dominant one in society. • the massive explosions of drug taking, phenomena which were once peripheral or isolated in pockets, but which are now generalised. • the increases in violence and crime, spurred on by the horror and violence infecting the media and has turned major cities at the heart of capitalism into war zones. • the continuing rise of a nihilistic "no future" culture among large sections of young dispossessed workers who see no progress and no hope. • the massive corruption of capitalism's political apparatus, which is particularly evident in the succession of sleaze scandals, but which is in fact a feature of the modem nation state virtually across the globe. • and lastly, but certainly not least, heightened nationalism, racism and inter-ethnic violence, engendered and encouraged by the rampant competition eating away at the social fabric of society. The stock markets and profits for large banks and corporations have recovered, more or less. That explains the good fortune of the top 1%. Their incomes depend heavily on the health of those parts of the economy (especially interest, dividends, and capital gains). But the 99% depend mostly on wages and salaries. High unemployment keeps their income hobbled, as does the persistent shift from jobs with high pay and good benefits to jobs with neither. Hyping a recovery helps politicians to boost their popularity (or at least, slow its decline. Academic economists, with careers built celebrating capitalism's efficiency, growth, and optimality for everyone, need urgently to hype recovery just as they have long hyped capitalism.Hyping recovery pleases those seeking reassurance about the state of capitalism. They want to hear that it is – or will shortly be – the secure, near-perfect economic system they always thought and said it was. They want to see the system's flaws, imperfections, and ongoing crisis – stressed by capitalism's critics – as merely minor and passing irritations. Calming references to recovery – used often and said as authoritatively as possible – nicely suggest that capitalism is either healing itself or being healed by a benevolent government. But more importantly it also serves to give masses of people with growing economic difficulties the impression that "other people" are experiencing a recovery. So they blame themselves (their age, skill set, education and so on) for missing out. The recovery hype thereby functions as a massive "blame-the-victim" program, in which a dysfunctional capitalism escapes criticism, while its victims instead turn criticism inward upon themselves. Hyping recovery provides "delaying cover" as businesses executives relocate their facilities abroad, their homes and offices inside "gated communities", and their workplaces into "heavily secured enterprise zones".The recovery hype performs the same service of mass distraction in this crisis as the accumulation of consumer debt provided since the 1970s. From the 1970s to the economic collapse in 2008, household debt accumulation distracted American workers from the stagnation of their real wages. Never underestimate the rich person’s view of themselves as a 'victim'. Joe Cassano, former chief of AIG's financial products division, was another. First, he arrogantly blew off the accountants who warned him his portfolio of hundreds of billions in uncollateralized bets might destroy the world. Then, after it all went kablooey, he tiptoed back to D.C. (after first being assured of not being prosecuted, mind you) from his lavish four-story townhouse in London just long enough to tell the Financial Crisis Inquiry Commission that he had absolutely nothing to be sorry about. The armed forces should seek to make British involvement in future wars more palatable to the public by reducing the public profile of repatriation ceremonies for casualties, according to a Ministry of Defence unit that formulates strategy, in an apparent reference to the processions of hearses carrying coffins draped in the union flag that were driven through towns near RAF bases where bodies were brought back. Other suggestions made by the MoD thinktank in a discussion paper examining how to assuage "casualty averse" public opinion include the greater use of mercenaries and unmanned vehicles, as well as the SAS and other special forces, because it says losses sustained by the elite soldiers do not have the same impact on the public and press. Deborah Allbutt, whose husband Stephen was killed in a friendly fire incident in Iraq in 2003, described the proposals for repatriation ceremonies as "brushing the deaths under the carpet". It's The (Capitalist) Economy Stupid! When capitalism hits one of its inevitable troughs someone has to take the blame for our subsequent problems. All too often minority groups consisting of the 'other' become the fall guy and they become the focus of attention, as if removing them from the equation will cure our ills and put us all back to work. Socialists argue that the focus should remain firmly on the goal of removing the root cause of the problem, ie the capitalist system. Economic migrants, asylum seekers, Palestinians, Greeks, Roma - they are all people; seeking a better life, or simply a life - a way of providing for themselves and their families. What are we if we cannot see that any one of us could so easily become the 'other' in slightly different circumstances? The global majority has a common enemy, one we must be united against - capitalism. We first met Wasim Abo Nahi at the beginning of September. He had just returned to Samos island in the eastern Aegean from Athens, where he had been held for processing as an undocumented refugee. He was accompanied by his nephew, Abdalah and Mohammed, a friend from Athens. All of them are Palestinian refugees. Wasim had returned to Samos to search for his wife, Lamees, his 9-month-old daughter Layan, and 4-year-old son Uday, whom he had left on the island six weeks earlier when he was detained. He was overwhelmed with anxiety as none of their families or friends had heard anything from Lamees during those weeks. He feared that they were dead, but as no trace of them had been found he hoped that they were still alive and being sheltered somewhere on the island. Wasim’s deepest fear was that his family had perished in the forest fire which had engulfed the remote mountain side soon after he had left them in his desperate search for help after they had landed from Turkey. It was to this area desolated by the fire that we returned on Sunday September 11. Even scorched and burnt it was a difficult terrain with no paths or roads where we had to break through charred shrubs to make any progress. With Wasim leading the way we eventually found the place where they had first landed. There were some baby clothes and pampers. Importantly, they were just outside the area of the fire so there was still hope, although the fact that there had been no sighting of the family or contact with her cast a despairing shadow. Wasim was desperate to find them. Every day he and his friends scoured the mountain side, sometimes accompanied by a few police officers and a couple of volunteers from an Athens-based human rights group. On Friday afternoon, Mohammed, Abdalah and Sofiane found some heavily charred remains and gold bracelets worn by his children and wife. Although we now await the results of the DNA tests on what little remains, we have little doubt that these are the remains of Wasim’s family. Sadly, Wasim’s tragedy is all too common. There is abundant evidence that many men, women and children continue to die at the borders of Europe as they flee their homeland as refugees. And if they survive and breach the frontier and arrive, as they do every week, on islands close to Turkey –such as Samos — they are then treated as criminals and subject to all kinds of de-humanising treatment. In this sense, the direct cause of the death of Wasim’s family may have been the fire, but in truth it was a much bigger set of policies and politics which killed his family. If these tragedies are to be avoided — as they can and should be — it is these wider systems and processes that need to be changed. Fleeing the conflict engulfing Syria and the Palestinian refugee camp in Latakia where they had lived, their options were severely limited. Wasim’s passport, which identifies him as a Palestinian refugee living in Syria, is worthless as a travel document. None of the neighbouring Arab states recognise this passport and would refuse him entry. The same applies to much of the rest of the world, which ruled out travelling to Damascus and leaving by plane which he could have afforded. So he took the route of thousands of refugees without papers and travelled through Turkey and paid 7.000 euros to be brought across the narrow stretch of the Aegean to Samos. The legacy of the Nakba, when so many Palestinians like Wasim’s grandparents and parents fled cities such as Haifa in 1948, runs deep and continues to condemn thousands to miserable lives in refugee camps, where their rights are deeply compromised and limited. This needs to change. But whatever their nationality, what kind of world forces refugees fleeing for their lives and their sanity to go “underground” in order to find safety? Why are they exposed to such vulnerabilities and exploitation which leads so many to dangerous boats and end expensive routes into Europe? In the case of Wasim, this led to him and his family being dropped on a rugged and isolated part of Samos which trapped him and his young family. They couldn’t get out. This needs to change. Much of Wasim’s experience in Samos and Athens was framed by the demonisation of undocumented refugees and migrants both here in Greece and sadly throughout much of Europe. As soon as Wasim and his family took the small boat from Turkey to Samos, this context of hostility kicked in as they evaded the patrols of the border police (Frontex) and the Greek coastguard. Samos is not just another Greek holiday island. It is on the very frontier between Europe and Asia. Its waters are not simply full of bathing tourists but the more sinister para-military patrol boats that daily motor around its shores. It is as if we were at war. The refugees need to be repulsed. They are the enemy. These ideas have to be changed. They are abhorrent. The consequences, as Wasim discovered, are deadly. In his case it meant instant incarceration, handcuffed in a police cell when he eventually made it out of the forest seeking help for his family. It led to his pleas being ignored by the authorities for days before a small effort was launched by the police to find his wife and children. Cruelly, it led to him being abandoned by the emergency services after he had made contact by his mobile phone when he realised that his family were stuck and in a desperate situation as their water ran out. During their first night on the island, a patrol boat had located them on the shore but it never returned. Had it been a family of young European tourists in such a position, there can be no doubt that the response would have been completely different. This should not be tolerated. The police and other state agencies have much to answer for, but this is not enough. From the highest levels, both in Greece and throughout Europe, a policy and ideology has been created which presents a warped construction of undocumented refugees as a danger and a threat. There is no element of humanity. The response of the state is that of arrest, imprisonment and removal. The facilities provided which are regularly and routinely condemned by NGOs and intergovernmental refugee agencies as unfit for human life illustrate this all too well. Even if some of those working in these facilities are deeply moved by the suffering they encounter, the system remorselessly grinds on. This needs to change. The answer sadly is that the Greek state has made many (but not all) too afraid to help anyone who is a refugee. It is more than probable that the fishermen who failed to rescue Wasim were fearful that their boats would be confiscated if they helped. One of our friends had his car confiscated and then sold by the state when it was found that he was carrying undocumented refugees. Another friend, an older woman who runs a small guest house was terrified when four Iranian refugees turned up wanting a room to shelter in prior to catching the ferry to Athens. She feared that she would lose her guest house if the authorities discovered her helping them, although she did. Earlier this summer, two Pakistani refugees — with papers — were prosecuted on Samos for “illegal hospitality” as they had offered room to two undocumented refugees. Making people fearful, scaring them into losing their humanity, is a terrible thing to do to someone. This is happening here. It cannot and should not be tolerated. In the meantime, Wasim is overwhelmed by grief. He only wanted to bring his family to safety, he says. Instead he brought them to their death. For his sake, and all those other thousands of refugees, who without papers are invariably poor, we have to find ways to change these policies, practices and ideologies which kill and wound and which distort the humanity of us all. Sofiane Ait Chalalet is Algerian and came to Samos 7 years ago as a refugee. Chris Jones is British and came to live in Samos 6 years ago after 30 years as a social science teacher in English higher education. They now report here on the impact of the unfolding humanitarian crisis on daily life in Samos and the cruel fate of refugees trapped in Greece. "After a visit to Disney World a Manhattan mother (who requested anonymity) explained how she and her family had jumped the long queues for the rides. 'The rules at Disney World allows anyone who needs a wheelchair to use a separate entrance for the rides, and bring up to six guests with them. A friend in Manhattan gave me the phone number for Dream Tours Florida and told me I could hire a black-market disabled guide from them for $130 an hour. I did and they escorted me, my husband and two children through the park in a motorised scooter with a 'handicapped' sign on it. We waited less than a minute to get on the 'It's a Small World' ride, when other kids had to wait for over two hours. This is how the 1% does Disney.'" After a brief google of ticket prices for Disney World it becomes apparent that under threes go free (but presumably they have to be accompanied? ), under tens come in at $97, including tax and over tens are just over $101 each. The European Commission spokesman Olivier Bailly said: "Roma, like all EU citizens, have the freedom to circulate freely in all member states of the EU and to live in a country other than their country of origin." These were fundamental rights written into treaties and if they weren't respected the commission would use "all the means at its disposal to sanction violations". The so-called socialist government of Hollande have continued a crackdown begun under the previous rightwing administration of Nicolas Sarkozy. Interior minister Manuel Valls told the radio station France Inter that "these populations have lifestyles that are very different from ours, and are clearly in confrontation" with the lifestyle of the French. He said few Roma could integrate into French society. He said the majority should be deported and that France was "not here to welcome these populations". The 400 wealthiest Americans are worth just over $2 trillion, roughly equivalent to the GDP of Russia. That is a gain of $300 billion from a year ago, and more than double a decade ago. The average net worth of list members is a staggering $5 billion, $800 million more than a year ago and also a record. The minimum net worth needed to make the 400 list was $1.3 billion. The richest 400 Americans now own more wealth than the bottom 180 million taken together. At least 40% of those on the 2011 Forbes 400 list inherited a medium-sized business or substantial wealth from a spouse or family member. Over 20% – including many Walton family members – inherited enough to place them on the Forbes 400 list with their inheritance alone. It's like they were born on home plate. Only a small number can be said to truly come from modest means, and even they had help. 60% of the income made by the Forbes 400 billionaires comes from capital gains, i.e. investment income. Together with the rest of their compatriots in the top 0.1%, they capture half of all capital gains income in the country. Half of the world’s population lives in poverty, with one person in every eight suffering from malnutrition. Poverty remains a global scandal, one which kills approximately 19 people around the world every minute of every day of every month. If a virus was discovered to be responsible for more than 25,000 deaths a day, the world would stop at nothing to find a cure. But poverty? We shrug our shoulders.. Seven out of 12 wallets ‘dropped’ in Amsterdam in an experiment to test people’s honesty were returned to their owners. But none of the wallets ‘accidently lost' in Amsterdam's luxury shopping street PC Hoofdstraat made it back to their owner. The new 44,000-seat stadium in Manaus, being built at a cost of $275 million, will host only four 2014 World Cup matches. The city of 2.3 million has no team in Brazil’s first or second division, and little soccer tradition. The potential for building white elephants is similar for three other new stadiums: in the capital Brasilia, in Cuiaba in the southwest, and in Natal in the northeast. FIFA requires only eight stadiums for the World Cup, but Brazil decided to have 12 — under pressure from politicians who used the construction projects to provide jobs and political loyalty. Unity - for socialism or for reformism? In March, following the relative success of his nostalgic film about the post-war Labour government The Spirit of 45, Ken Loach launched an appeal for the formation of a new left-of-Labour (not to say Old Labour) party. The ball was picked up others and a new Left Party is to be founded at a meeting in London on 30 November. A meeting in May of those who had responded to Loach’s appeal decided that the new party should be an individual membership organisation. This was in deliberate contrast to a previous attempt to form a new left-of-Labour party in the early years of this century – the ‘Socialist Alliance’, which was in effect an electoral alliance between the SWP and Militant and which eventually fell apart because of rivalry between these two Trotskyist groups. The individual membership decision was , and was meant to be, a rebuff to such groups, though their members are still free to join as individual members. Some Trotskyist groups – ‘Socialist Resistance’ and ‘Workers Power’ – have accepted this. This is likely to cause the new party problems in the future as it is a well-known tactic of such groups to ‘enter’ a bigger party, form a ‘faction’ (whether open or clandestine) within it, and breakaway away at some point with more members than they went in with. But why another Left party? Aren’t there already a number of left-of-Labour parties? Scargill’s SLP, Galloway’s Respect Party, the SWP, Militant (now calling themselves SPEW) and even the Communist Party of Britain (who run the Morning Star). The aim seems to be to form a party of a different type, one that is neither dominated by a single individual nor organised on Leninist lines; an open, more or less democratic party like, in the British context, the old ILP. Supporters of the new party cite existing European parties such as the Party of the Left in France, Die Linke in Germany and Syriza in Greece as examples they want to follow. The general orientation of the new party has yet to be decided. That’s going to be settled at its founding conference at the end of the November. In the meantime three ‘platforms’ for discussion at the conference are circulating amongst those who signed up to Loach’s appeal. One – the Left Unity Platform – is that of those who took the initiative to call for setting up the new party. They want a broad party that will attract any and every one to the left of Labour. They have the support of one of the Trotskyist groups, ‘Socialist Resistance’, which claims to be the genuine ‘Fourth International’ and is the successor of the old IMG of the 1970s of which Tariq Ali was a prominent member. More interesting is the second one, called the ‘Socialist Platform’. It seems to be the initiative of one of the constituents of TUSC – the ‘Independent Socialist Network’, which caters for individuals who support TUSC but are not members of SPEW or of the RMT union. In fact the ISN seems to be on the brink of defecting from TUSC to the new Left Party. The third – the so-called ‘Class Struggle Platform’ – can be dismissed fairly quickly. It has been put forward by another Trotskyist group, ‘Workers Power’, and just reproduces their programme. These people are nothing if not brazen. The new party has not yet been formed and they have already founded a ‘faction’ within it. The ‘Socialist Platform’ is written in the same sort of language that we use; in fact we can agree with a large part of it, especially that ‘capitalism does not and cannot be made to work in the interests of the majority’ and clauses 6, 7 and 9. There are of course differences. For instance, clause 2 could imply that a ‘state’ will continue to exist in socialism. Clause 3 does say explicitly that socialism has to involve the complete ending of production for the market. Clause 5 ends with a peculiar formulation on Europe (even though this is an advance on the No2EU embraced by most of the Left). Clause 8 is the real stumbling black from our point of view as it opens the way for the sort of party they are proposing to campaign for reforms. If you follow the link from the word “impossibilism” it takes you to a wikipedia page which explains that the main current exponent of this in Britain is us. (see: http://leftunity.org/which-way-for-left-unity-the-case-for-the-left-party-platform). The author, Tom Walker, is a member of a breakaway group from the SWP. So this is a case of a Trotskyist criticising the ‘Socialist Platform’ for being to like the SPGB, a damning argument amongst Trotskyists. One group of Leninists who have signed it are not satisfied with it, but because they see it as non-Leninist. 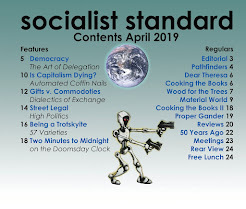 This group, calling itself the ‘Communist Party of Great Britain’ (even though they have nothing to do with the old, now defunct CPGB) and publishing the Weekly Worker, have proposed a series of amendments intended to make it a Leninist statement. On the face of it this seems more explicitly socialist and of course we too want a ‘moneyless, classless, stateless society’, but what this is actually doing is introducing the Leninist distinction (which we reject and which was never in Marx) between ‘socialism’ and ‘communism’. 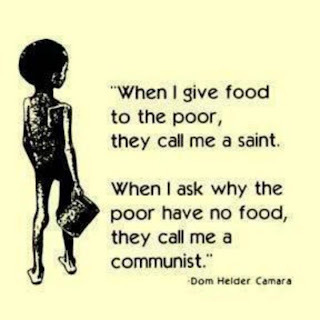 What they call ‘communism’ as a moneyless, classless, stateless society we call ‘socialism’ and this may well be the view also of some of those who have signed the original platform. For us, this is the immediate aim, but for those behind the amendment it is only a far-off ‘ultimate aim’, just as it was for the government of the old USSR. Their immediate aim is a so-called ‘workers state’ in which money, classes and the state will continue to exist. These amendments were rejected. The same fate awaits the ‘Socialist Platform’ at the founding conference of the new party. The Left Unity Platform will be adopted and a new wishy-washy, leftwing reformist party will come into existence. The trouble, for them, is that such a left-of-Labour party already exists in the Green Party. The only difference is that the Green Party does not claim to be ‘socialist’, only ‘environmentalist, feminist and opposed to all forms of discrimination’. Apart from that, the policies that the two parties will be advocating will be the same, for instance, defence of the welfare state, bringing back the utilities into ‘public’ ownership, anti-wars. So, to succeed, the new party will have to replace the Green Party. Which hardly seems likely. Then there are the other smaller left-of-Labour parties competing on the same ground. They are not going to go away. Nor will the Trotskyist groups that have decided to ‘enter’ it. So the new Left Party is likely to be a non-starter and will probably end up as just another such small party, so adding to the confusion as to what socialism is and how to get it. The only positive thing that could come out of this is for some of those who signed the ‘Socialist Platform’ to realise that a socialist party, on sound socialist principles, already exists and has been campaigning for socialism and nothing but for over a hundred years. Feedlots As Art: Enjoy Your Meal! Such is the power of “Feedlots,” a new series of images crafted by British artist Mishka Henner from publicly available satellite photographs. Henner does work with the photos, enhancing the colors — the waste lagoons below, for example, are flat green rather than bright — but the physical details are unaltered. Even for Americans, though, these sights are unusual. Industrial farming, especially of animals, tends to be hidden from public view — and under so-called ag-gag laws, that secrecy could become law. The laws, so far enacted by Utah, Kansas, Arkansas, Iowa and Missouri, make it illegal to take undercover photos or videos on farms. Some proposed ag-gag laws would also cover zoos and puppy mills, and would officially label anyone who breaks them as a terrorist. How might images like Henner’s be affected by ag-gag laws? It’s not clear, said Matthew Liebman, an attorney with the Animal Legal Defense Fund, an animal advocacy group. Texas has no such law, so Henner’s images are safe. In states that do, they could be protected by legal recognition of satellite-level altitudes as public space. Under some proposed laws, though, gathering any imagery without farmer consent is a crime. Taking a snapshot of a feedlot from a window seat in a commercial jetliner would technically be illegal. Public opinion may be turning against ag-gag laws. Of 11 proposed in state legislatures this year, each was either defeated or tabled until the next legislative session. Utah’s law is being challenged as unconstitutional. “Something’s wrong in the Land of the Free when the act of looking is itself being condemned and punished,” said Henner. "We cannot infer that… any employer is breaking the law by not paying interns – this has been absolutely specified by the BBC duty lawyer. Tanya de Grunwald, who runs the Graduate Fog site, responded by arguing that many employers are breaking the law by not paying interns, and that it was important viewers knew that. The BBC's duty lawyer asserted that this "claim" was only an "opinion". So de Grunwald attempted to explain the minimum wage law in some detail. The BBC producer then asked her if she would say something positive during her interview on the show, such as how unpaid internships can be a good thing because they add experience to a young person's CV. De Grunwald refused. She said: "The BBC's coverage of the issue of unpaid internships is routinely appalling - they minimise and trivialise every development that happens, it's infuriating." We could express our reservations about the language and sentiments of "our"" nation and "our" tax dollars but nevertheless this video highlights the cost of capitalism's war economy. There is a widespread tendency, shared by much of the Left, especially among people who think of themselves as Marxists to think that wars must be due to cynically rational calculations by capitalists. But this view sees “capitalism” as a unified actor issuing orders to obedient politicians on the basis of careful calculations. People who think that capitalists want wars to make profits should spend time observing the board of directors of any big corporation: capitalists need stability, not chaos, and the recent wars only bring more chaos. American capitalists are making fortunes in China and Vietnam now that there is peace between the U.S. and those countries, which was not possible during hostilities. War, however, is an unintended consequence of capitalist competition. Man is by nature a gregarious and friendly animal. He does not make war because he dislikes others of his own species, differing from him in language, religion, geographical location, etc. His wars have always arisen out of struggles over the very material things of wealth and power. This is true, whether he has been living in a tribal, slave, feudal or capitalist economy, and whether he has obscured the true cause of his wars with an intense religious garb or with slogans about making the world safe for democracy. In a society in which there is no private property in industry and land, in which no exploitation of the workers takes place and where plenty is produced for all, there can be no grounds for war. The interests of a socialist society are fundamentally opposed to the murderous and unnatural struggle of international war. Under capitalism the workers can perhaps on occasion check the development of war. By the threat of disobedience they can, for a time, force the capitalists to hold in leash their dogs of war. But pressure from the workers can only delay the war, not stop it permanently. The irresistible and incurable antagonisms of the capitalist countries inevitably force them into war. Only the revolution itself can solve these war-breeding contradictions and put a final end to war. Not christianity but socialism will bring peace on earth. Media Freedom Foundation/Project Censored has just finish a year long study on the people on the boards of directors of the top ten asset management firms and the top ten most centralized corporations in the world. With overlaps there is a total of thirteen firms in our study: Barclays PLC, BlackRock Inc., Capital Group Companies Inc., FMR Corporation: Fidelity Worldwide Investment, AXA Group, State Street Corporation, JPMorgan Chase & Co., Legal & General Group PLC (LGIMA), Vanguard Group Inc., UBS AG, Bank of America/Merrill Lynch, Credit Suisse Group AG, and Allianz SE (Owners of PIMCO) PIMCO-Pacific Investment Management Co. The boards of directors of these firms, totaling 161 individuals. They are the financial core of the world’s Transnational Capitalist Class. Collectively, these 161 people manage $23.91 trillion in funds impacting nearly every country in the world. The institutional arrangements within the money management systems of global capital relentlessly seek ways to achieve maximum return on investment, and the structural conditions for manipulations—legal or not—are always open (Libor scandal). These institutions have become “too big to fail,” their scope and interconnections pressure government regulators to shy away from criminal investigations, much less prosecutions. The result is a semi-protected class of people with increasingly vast amounts of money, seeking unlimited growth and returns, with little concern for consequences of their economic pursuits on other people, societies, cultures, and environments. One hundred thirty-six of the 161 core members (84 percent) are male. Eighty-eight percent are whites of European descent (just nineteen are people of color). Fifty-two percent hold graduate degrees—including thirty-seven MBAs, fourteen JDs, twenty-one PhDs, and twelve MA/MS degrees. Almost all have attended private colleges, with close to half attending the same ten universities: Harvard University (25), Oxford University (11), Stanford University (8), Cambridge University (8), University of Chicago (8), University of Cologne (6), Columbia University (5), Cornell University (4), the Wharton School of the University of Pennsylvania (3), and University of California–Berkeley (3). Forty-nine are or were CEOs, eight are or were CFOs; six had prior experience at Morgan Stanley, six at Goldman Sachs, four at Lehman Brothers, four at Swiss Re, seven at Barclays, four at Salomon Brothers, and four at Merrill Lynch. People from twenty-two nations make up the central financial core of the Transnational Corporate Class. Seventy-three (45 percent) are from the US; twenty-seven (16 percent) Britain; fourteen France; twelve Germany; eleven Switzerland; four Singapore; three each from Austria, Belgium, and India; two each from Australia and South Africa; and one each from Brazil, Vietnam, Hong Kong/China, Qatar, the Netherlands, Zambia, Taiwan, Kuwait, Mexico, and Colombia. They mostly live in or near a number of the world’s great cities: New York, Chicago, London, Paris, and Munich. Members of the financial core take active parts in global policy groups and government. Five of the thirteen corporations have directors as advisors or former employees of the International Monetary Fund. Six of the thirteen firms have directors who have worked at or served as advisors to the World Bank. Five of the thirteen firms hold corporate membership in the Council on Foreign Relations in the US. Seven of the firms sent nineteen directors to attend the World Economic Forum in February 2013. Seven of the directors have served or currently serve on a Federal Reserve board, both regionally and nationally in the US. Six of the financial core serve on the Business Roundtable in the US. Several directors have had direct experience with the financial ministries of European Union countries and the G20. Almost all of the 161 individuals serve in some advisory capacity for various regulatory organizations, finance ministries, universities, and national or international policy-planning bodies. Estimates are that the total world’s wealth is close to $200 trillion, with the US and European elites holding approximately 63 percent of that total; meanwhile, the poorest half of the global population together possesses less than 2 percent of global wealth. The World Bank reports that, 1.29 billion people were living in extreme poverty, on less than $1.25 a day, and 1.2 billion more were living on less than $2.00 a day. Thirty-five thousand people, mostly young children, die every day from malnutrition. While millions suffer, a transnational financial elite seeks returns on trillions of dollars that speculate on the rising costs of food, commodities, land, and other life sustaining items for the primary purpose of financial gain. They do this in cooperation with each other in a global system of transnational corporate power and control and as such constitute the financial core of an international corporate capitalist class. Western governments and international policy bodies serve the interests of this financial core of the Transnational Corporate Class. Wars are initiated to protect their interests. International treaties, and policy agreements are arranged to promote their success. Power elites serve to promote the free flow of global capital for investment anywhere that returns are possible. Identifying the people with such power and influence is an important part of democratic movements seeking to protect our commons so that all humans might share and prosper. 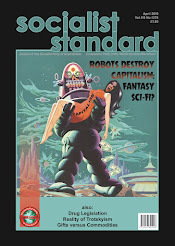 The full, detailed list is online at: http://www.projectcensored.org/exposing-financial-core-transnational-%E2%80%A8capitalist-class/ and in Censored 2014 from Seven Stories Press. Peter Phillips is professor of sociology at Sonoma State University and president of Media Freedom Foundation/Project Censored. Brady Osborne is a senior level research associate at Sonoma State University. India - A success story? One out of every four Indians today is a victim of hunger. 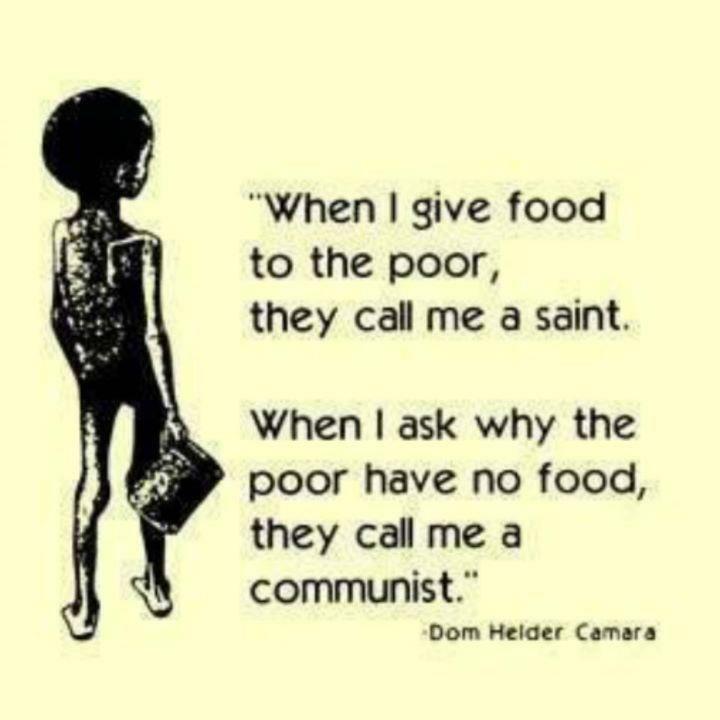 And half of the hungry are farmers who cannot eat what they grow, either because they are planting cash crops such as cotton; or they're growing costly crops such as rice, wheat and corn, which they have to sell in order to repay the loans they get to buy seeds, fertilisers, etc. Commentators note that in the 1990s, when India began to move towards a free market, the Naxalite movement revived in some of the poorest and most populous Indian states. Part of the reason for this is that some livelihood and living-related issues like agriculture, public health, education and poverty-eradication have been given a short shrift, exposing large sections of the population to disease, debt, hunger and starvation. India ranked 66th on the 2008 Global Hunger Index of 88 countries. India has the highest number of undernourished people in the world — 230 million — added to which 1.5 million children are at risk of becoming malnourished because of rising global food prices. More than 27 per cent of the world’s undernourished population lives in India, of whom 43 per cent children (under five years) are underweight. The figure is higher than the global average of 25 per cent and even beats sub-Saharan Africa’s figure of 28 per cent. Nearly 50 per cent of child deaths in India occur due to malnutrition. India has a terrible record in tackling hunger and malnutrition. Since independence, the government has formulated more than 50 programmes targeting the poor to alleviate poverty. The real challenge facing India today is making wealth and entitlements not a monopoly of a clique of super elites. Amartya Sen has repeatedly pointed out how the ‘very poor’ in India get a small share of the cake that information technology and related developments generate. The days of the small farmer raising his cattle, hogs and hens on green pastures are long gone. Today America’s farming landscape resembles a windowless, animal gulag system filled with metal sheds, wire cages, gestation crates and confinement systems. Factory farms aren’t about feeding the hungry or harvesting healthy food. They’re about maximizing profits for a handful of the world’s largest agribusiness corporations, and the biotech and pesticide companies that fuel their factories and feed their animals. Today, nearly 65 billion animals worldwide, including cows, chickens and pigs, are crammed into CAFOs and slaughtered annually. These animals are literally imprisoned and tortured in unhealthy, unsanitary and unconscionably cruel conditions. Factory farms produce unhealthy animals. And unhealthy people. About 80 percent of all antibiotics used in the U.S. are used on factory farms, either to prevent disease or stimulate growth. Meanwhile, about 70,000 Americans die each year from “superbugs” that have developed a resistance to antibiotics. The big question here is who decides what food will be produced and how? As stated above, one of the problems of living within this capitalist system is that the people don't get to choose - or rather they get to choose very little and within very limited parameters. If people are content with the food system as it is described above how is it that there are so many protests and petitions and boycotts and law suits against the big producers? When food production is controlled by huge companies vying with each other for profits whilst paying vast amounts to lobbyists with government approval - however public opinion differs - we must surely question the level of democracy within society? Socialism is about democracy and access for all, no hierarchy making decisions on our behalf and about people determining their own choices. Below is part of an interview by Mark Karlin with David Bacon about Bacon's new book 'The Right To Stay Home,' investigating the circumstances, the effects and attitudes of and towards the huge migrant labour force, particularly in the USA. Mark Karlin: When people become economic pawns instead of looked upon as human beings with dignity, they often lose their "right to stay home," you argue. Given the massive government, corporate and global trade forces that create dire economic circumstances in Mexico and Central America - particularly with indigenous populations - where does resistance begin as you discuss in your last chapter? David Bacon: Resistance begins in the home communities of migrants themselves. The book describes one of the most important organizations that is calling for resistance and the right to stay home - the Binational Front of Indigenous Organizations. They were able to get the first non-PRI [dominant political party] governor of Oaxaca to make a commitment to development that could give people some alternative to forced migration. But this demand is also now being put forward by migrant, especially indigenous migrant organizations throughout Latin America, in the Philippines, and we’re now hearing it in the alternative People’s Global Agenda on Migration gathering that will take place in New York next month during the UN’s high-level dialogue on migration. NAFTA (North American Free Trade Agreement) allowed the dumping of corn, meat and other agricultural products in Mexico at low prices by huge corporations whose costs in the US are subsidized by the US farm bill. They did this in order to take over the market, and today one company, for instance, Smithfield Foods, sells 25 percent of all the pork in Mexico. That made it very difficult for Mexican farmers to grow crops or raise animals and sell them at a price that would pay the cost of producing them. When they couldn’t survive as farmers, they had to leave home looking for work. There are today work visa programs for agricultural workers (H2A), lower-skilled non-agricultural workers (H2B) and higher-skilled workers like nurses, teachers and high-tech workers (H1B). All of these visas require someone to work in order to stay, so losing a job means having to leave the country. And they all are based on employers recruiting workers in other countries. Employers like these programs because they all allow them to hire workers at low wages, lower than what they’d have to pay if they hired people already living in the US, whether citizens or immigrants. And by paying low wages and keeping those workers insecure, they also put them into competition with workers already here. For the guest workers, there is a long history of employer abuse, including cheating on the terms they promise workers when they’re hired, and not paying legal wages or providing the legally required conditions. The Southern Poverty Law Center calls them close to slavery. The extraction, agricultural and food processing industries are exploiting workers within Mexico and are also polluting indigenous lands making it more difficult to exercise the right to stay home. One of the biggest examples explained in the book is the huge complex of pig farms in the Perote Valley built by Smithfield Foods. The waste from the one million animals raised each year there made the valley almost uninhabitable because of the stink, flies, the pollution of the water table, and disease. Many residents believe that the swine flu of a few years ago began because of the huge concentration of pigs. Big Canadian mining companies, also profiled in the book, have had a similar devastating impact on the environment in other rural indigenous committees. The contamination itself is a factor pushing people to leave. But the way the economy has been reformed in order to "welcome" foreign companies by violating land rights, paying low wages and fighting unions have deepened poverty and displaced many people. Their need to work and the poverty of their families forces them to accept low wages, both in Mexico and in the US. The book then describes the way US immigration law is used against them. In many cases, like the union drive at Smithfield Foods in Tarheel, North Carolina, when the immigrants make common cause with workers here and try to organize unions or protest bad wages and conditions, employers then fired them with the cooperation, and sometimes at the orders of, the US government. So in that sense they become dispensable, at least to their employers. Illegal People, and now The Right to Stay Home, trace the development of the idea of illegality - how we got the idea that a human being could be "illegal." The roots are clearly in slavery, because the status of a slave, the property of another person, made the slave illegal - the most terrible and brutal form of illegality. But after slavery was formally abolished, these same ideas of inequality and illegality were applied to others - the Chinese, Japanese, Filipinos and Mexicans. Immigration law has become one important way in which that illegal status is forced on people. Employers want to pay low wages and look for the tools that will keep workers vulnerable and force them to accept these conditions. The displacement of Mexicans by reforms and trade agreements creates a huge number of people who have no alternative to migration, and then to accept work on whatever terms an employer offers. There are so many migrants from Mexico that agriculture, meatpacking and other industries depend on these workers, and employers reap high profits from the low wages they pay. When those workers organize unions to push their wages up, employers fight those efforts out of the simple desire to keep profits high and to control their workforce. That antiunion policy is used by employers against workers in general, not just immigrants, and part of that policy is the effort to keep immigrants and people already here insecure and pit them against each other. Also the Mexican government has an incentive not to try and improve the economy for the poor and more than that, it uses the remittances sent home to make up for the cuts in the budget for social services in order to make debt payments, which go overwhelmingly to US banks. You could say that the remittances also indirectly subsidize US banks. This is a labor export policy, and other countries are also doing it. The fact that the US administration deports 400,000 people a year, fires thousand from their jobs, and then negotiates trade agreements that displace people, forcing them to migrate, makes no sense unless you’re deliberately trying to create a huge number of very vulnerable, low-wage workers. It is an inhuman, brutal policy. The Right to Stay Home looks at Mexico and the US not because these two countries are exceptional, but because by looking at them closely we can understand a process that is going on all over the world. There are over 213 million people living in countries they weren’t born in, 58 million more than 20 years ago. While about 45 million live in the US, you can see this is something happening on a global scale. So the forces driving it are global, and unfortunately the kinds of policies pushed in the US debate - especially criminalization and guest worker programs - have become global ones also. (Brussels, 17 September 2013) – A European Union (EU) trade initiative intended to reduce poverty in the world’s poorest countries has driven thousands of Cambodian farming families into destitution and led to serious human rights violations, Inclusive Development International (IDI) and Equitable Cambodia and said in a report released Monday. The report, Bittersweet Harvest, assesses the human rights impacts of the EU’s ‘Everything But Arms’ (EBA) trade scheme in Cambodia. The European Commission adopted the EBA initiative in March 2001, granting preferential access to the European market for all products except arms and ammunitions from all countries classified by the United Nations as ‘least developed’. Calling for 'common sense reforms' is like baying at the moon. EU governments and their institutions simply do not work in the interests of the likes of you and me or any of the other workers of the world. They function primarily in the interests of capital. This initiative in Cambodia is just one more example which reveals whose interests are held highest. Always remember - watch what they do, not what they say. Forget basic reforms and call for complete overthrow of the capitalist system in favour of world socialism which will work in our interests. I'm a member of the steering committee of the Socialist Platform within Left Unity. I noticed the letters written into the CPGB's Weekly Worker by Adam Buick and Alan Johnstone, which seem to express interest in a discussion about similarities between our projects. I'd be more than happy for either Adam or Alan [or any other SPGB member] to email me as the point of contact for such discussions. He is referring to these two letters. Left Unity’s Socialist Platform (‘Resistance and socialist change’, August 8) reads like a modern version of the Socialist Party of Great Britain’s 1904 ‘Object and declaration of principles’ (see www.worldsocialism.org/principles.php). “Capitalism does not and cannot be made to work in the interests of the majority” and there needs to be democratic, majority political action to bring about socialism! There are some key differences, but it’s not Leninist. What will happen to the Socialist Platform when it’s rejected (as it will be) at the founding conference of the Left Unity party in November? Stay in or approach the SPGB instead? "I am a little surprised that Adam Buick’s letter failed to elicit any response (August 29). After all, it was from a member of an organisation that is frequently berated for its sectarianism and political aloofness, yet there he is issuing an invitation for dialogue with the Socialist Platform group of Left Unity. I can now add to these a formal approach from the Socialist Party Executive Committee. "We have read your Statement of Aims and Principles for the proposed “Left Unity Party” and have noticed many similarities with our Object and Declaration of Principles and the positions we have developed and propagated over the years. We have in mind in particular the need for a principled, explicitly socialist party that concentrates on campaigning for socialism as “capitalism does not and cannot be made to work in the interests of the majority” and which holds that “the socialist transformation of society. . . can only be accomplished by the working class itself acting democratically as the majority in society” using “both parliamentary and extra-parliamentary means”. As there can be no point in two socialist parties in one country we should like to propose a meeting to discuss the principle of a single socialist party, based on sound socialist principles, as opposed to forming yet another leftwing reformist party. It was generally agreed to send a letter to the "Socialist Platform". Cde Cox suggested if they turn us down, we can send an open letter. 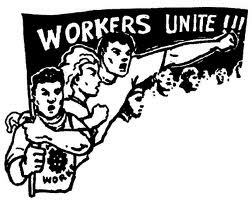 Unity based on the principles of socialism and achieved, through free discussion will be the goal of the Socialist Party.We need unity but do not fear dissension. The Socialist Party does not shy away from mergers with groups where there is a common identity of interests. The aim must be to effect a genuine unification on a firm and long-lasting basis. We, for our part, believe that unity would be a good thing if it is firmly based and leads to the strengthening of the socialist movement. On the other hand, a unification followed by sharp factional fights and another split would be highly injurious to the movement. We must all ask ourselves when is it sectarianism and when is it political principle? We cannot accept the “lowest common denominator” approach. A socialist movement which places greater value on tactics of political expediency than on principle has abandoned the policy of the class struggle for one of class collaboration. So long as the workers are divided, economically and politically, they will remain in subjection, exploited of what they produce, and treated with contempt by the parasites who live off our labour. The working class in the United States is struggling. Statistics showing that the economic gap between the rich in the United States and the workers is wider than ever – and growing. The typical U.S. household saw its income fall in 2011 to 1989 levels, according to a 2012 Census Bureau report. The number of Americans living under the poverty line has been steadily at 15% for a number of years. It is the sixth year in a row that the rate failed to improve, despite the US being out of recession since 2009. The Standard & Poor's 500 index gained 16% on a total return basis last year. The poverty threshold last year was income below $23,492 (£14,700) for a family of four. David Garza, executive director of Henry Street Settlement, which runs three family shelters and one shelter for single women with mental illnesses, said that five years ago his shelters were placing 200 families a year into permanent housing. Last year, he said, they placed 50. “Without low-income housing, it’s a maze with no way out,” Mr. Garza said.The employed homeless are constantly juggling the demands of their two worlds. In 2004, Mayor Michael R. Bloomberg unveiled an ambitious plan to reduce the city’s homeless population — then 38,000 — by two-thirds in five years. The plan envisioned shifting dollars away from the shelter system to create low-income housing with social services. To make the shelter system less inviting, the city also stopped giving homeless families priority for public housing, and made it harder for those who left the system to return. In 2011, when the state and federal support were withdrawn, the city ended a program that gave rent subsidies for up to two years to help families move out of shelters and into their own apartments. Ms. Manzueta, the security guard, said she managed to hold on to her $8-an-hour positions and to take courses to learn new skills. But with an eviction marring her credit record and unable to afford more than $1,000 for rent, she has not been able to land an apartment. "The hardest city to live in" - hard to measure, especially if you're one of the poor in Mumbai, Nairobi, San Paolo, Cairo, Athens or London. Millions - no, billions of in and out of work people, citizens of the world, live in dire straits because the global system of capitalism requires it. Socialism may not be a cure-all but it's the only viable alternative. Up to two-fifths of a crop of fruit or vegetables are rejected because they are "ugly", a report on food waste has shown. Produce that doesn't meet retailer standards on shape and size is rejected and used for animal feed or ploughed back into the ground. Racism and nationalism are used to further advantage the employing class by creating what is effectively a sub-strata of the working class, kept isolated and divided from indigenous workers. Racism and national chauvinism has been an effective means of dividing and weakening the working class. The plea that certain nationalities should be excluded from coming to the UK should have no place in the working class movement which calls on the oppressed and exploited workers of all the world to unite for their emancipation. 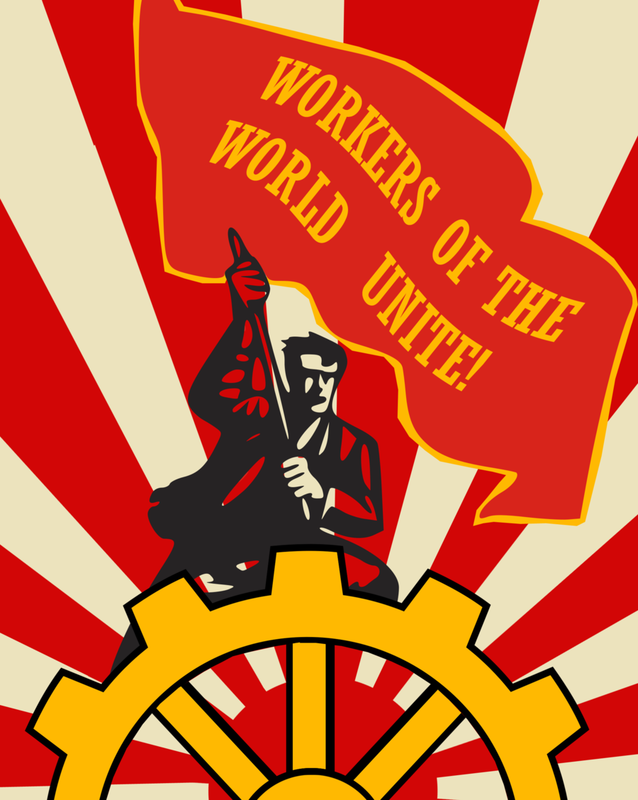 The Socialist Party opposes any policy that requires the exclusion of our fellow workers who seek these shores with the hope of bettering their wretched condition only to be driven back. It is even more shameful to have it advocated by those who call themselves socialists and it should be done in the name of a movement whose proud boast it is that it stands uncompromisingly for the suffering and down-trodden of all the World. Workers from abroad have just as good a right to enter here as any who now seek to exclude them. The Socialist Party makes its stand against the specious arguments of subtle sophists who do not hesitate to sacrifice principle for votes and members and are prepared to jeopardise ultimate success for immediate gain. We will not turn our back upon the oppressed and often brutalised victims from other parts of world, who are lured to these shores by some faint glimmer of hope that here their crushing burdens may be lightened. Any alleged benefit that may come to the socialist movement because of such heartless exclusion would be swept away by the sacrifice of a cardinal principle of the international socialist movement, for well might the good faith of such a movement be questioned by intelligent workers if it barred its borders against the very peoples most in need of relief, and extinguishing their hope, and leaving them in despair. There is nothing of sentimental in this adherence to the fundamental principles of the international workers movement. If socialism, does not stand staunchly, unflinchingly, and uncompromisingly for the working class and for the exploited and oppressed masses of all lands, then it stands for none and its claim is a false pretense. The Socialist Party has always stoutly uphold the banner of internationalism in the matter of immigration. Let those desert us who will because we refuse to shut the door in the faces of their own brothers and sisters; we will be none the weaker but all the stronger for their going, for they evidently have no clear conception of the international solidarity, are wholly lacking in the revolutionary spirit, and have no proper place in the socialist movement while they entertain such aristocratic notions of their own arrogant superiority. Let us stand by our revolutionary, working class principles and fight openly against all our enemies, adopting no tactics of nationalism. Afraid that the large numbers of immigrant workers may erode the ‘ national character’, too often, too many have never been able to think or act beyond the proposition that the migrant worker belongs to the country he or she has left and therefore does not belong where he or she works. We ought to welcome the rich mixture of various cultures. We should break away from this artificial segregation of nation from nation. For us in the World Socialist Movement it is always a pity that others critics of capitalism lack confidence that either there are sufficient resources on the planet to provide for all , or that human beings can work voluntarily, and co-operate to organise production & distribution of wealth without chaos, and consume wealth responsibly without some form of rationing. Too often we encounter well-intentioned activists who do not go far enough and offer models for the solution of the world’s social problems that retains major elements of the market system, but more importantly is simply highly unlikely to be workable in the real world. Unfortunately this too is the case with the otherwise provocative and thoughtful review of Jose Luis Vivero Pol’s essay, “Food as a Commons: Reframing the Narrative of the Food System.” by David Bollier that can be read here in its entirety. “Strangely, “no one has really questioned the nature of food as a private good, produced by private inputs or privately harvested in enclosed areas of the world." Yet asking such a question helps us to see why massive hunger can persist with food abundance. The ethic of “no money, no food” means that only those with sufficient "consumer demand" are entitled to food.” without acknowledging the contributions of generations of socialists and anarcho-communists who struggled for the end of the exchange economy , the end of prices and money, and the end of the wages system. How can he fail to mention that those who advocate that "once we regard food as a commons, we can begin to see that everybody ought to have a human right to food.” and ignore the existence of the age-old demand of the socialist movement “to each according to need”. Rather than embrace the case for free access to the fruits of our labour Bollier accepts Pol’s legislative proposals of “social charters”, once more paying little attention to the reality of the capitalist world that such humanitarian pledges already exist in the United Nations. Capitalism is full of “rights” that are never delivered, just as all those well-meaning agreements to combat climate-change rarely get implemented. Wishes are only granted in fairy tales. rather than abolish the cause. Of the 31 owners of NFL teams, seventeen - more than half - are billionaires. ESPN President John Skipper pulled the plug on ESPN’s partnership with FRONTLINE. Shortly before his decision, John Skipper had lunch with NFL Commissioner Roger Goodell and two others in New York City. Sources told the Times, “The meeting was combative… with league officials conveying their irritation with the direction of the documentary.” Skipper also admitted to ESPN’s independent ombudsman Robert Lipsyte that he had spoken with Disney chairman and CEO Bob Iger. Whether coincidence or not, just after ESPN’s decision to disassociate itself from FRONTLINE, the NFL settled a class-action suit brought by thousands of retired players and their families seeking damages from injuries linked to concussions. To the casual fan, it was a win for the players - a sum of $765 million. But even if they finally have to cough up, the owners will feel no pain. That’s just a fraction of the estimated $10 billion the league generates in revenue every year. The typical payout per plaintiff will amount to around $150,000 - not nearly enough to cover a lifetime of lost wages and medical bills faced by the victims of serious brain trauma. Without college football, the NFL would have no players from which to choose. In 1939, the University of Chicago dropped its football program, citing as its reason the fact that according to school president, Robert Maynard Hutchins the sport had evolved to the point where it was becoming a distraction to both students and faculty. In Hutchins’ view, the game of football was now detracting from the noble ideals the university had set for itself. This was no empty, purely symbolic gesture. In 1939, the University of Chicago was a Big Ten Conference football power. How much revenue has football brought the University of Notre Dame? While no one can answer that question with certainty, the figure has to be in the hundreds of millions of dollars. On April 13, 2013, ESPN announced that Notre Dame and NBC had agreed to a 10-contract extension, running from 2016 to 2025, at a reported $15 million per season. “The land of the free” no longer exists. Who are the real cheats? Time To Push Capitalism Off The Cliff. Public Need or Private Profit? The Beautiful Game - Neoliberalism Gone Mad? Syria - More Than Meets The Eye? Minimum Wage $15. The American Dream?